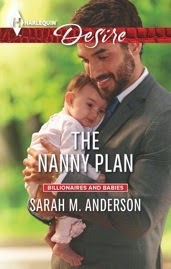 Romance author, Sarah M Anderson joins us to discuss her new release, THE NANNY PLAN. Door prize: One lucky winner will receive a copy of HIS LOST AND FOUND FAMILY! 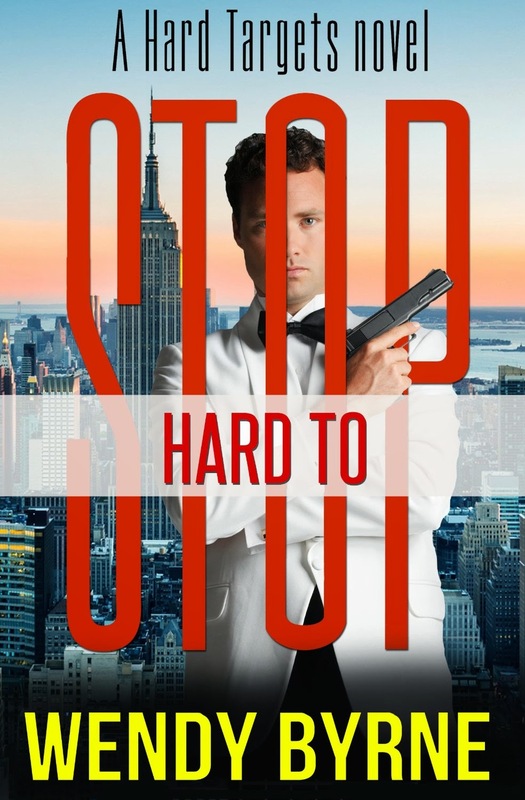 Hard to Stop is the third book in the Hard Targets Trilogy through Gemma Halliday Publishing. The trilogy focuses on the Shaw siblings who were orphaned at a young age and forced to become assassins for survival. They were able to escape their Serbian homeland and settled in New York when they were in their twenties. Sabrina and Jake both work for The Alliance--a top secret agency specializing in protection and retrieval. Max decided long ago to forget his past and is a trader on Wall Street. The first book, Hard to Kill, introduced Sabrina Shaw as she went undercover to track down child traffickers. In the second book, Hard to Trust, Jake was sent on an assignment to bring in a rogue CIA agent who's suspected of being a double agent. In Hard to Stop, Max Shaw has a contract on his head. But, in a case of mistaken identity, the killer murders his friend Damon instead. To get to the bottom of who is behind the contract, Max must confront his past as an assassin in order to save his own life. When I wrote this trilogy, I pictured Max and Jake with completely different personalities. Jake, prefers the grunge look and Max never walks out the door unless he's wearing a Hugo Boss suit. Jake is more fly-by-the-seat of his pants where Max is very calculating in everything he does. It wasn't until I wrote this last book that I realized why Max feels compelled to always dress and be in control: He's so sickened by what he did in the past, he uses the way he dresses and acts to make himself believe it never happened. 3. Do you have any interesting writing quirks or rituals? I'm not sure how interesting or different this is, but I find that I get more accomplished when I make a pact with another writing friend of mine to get X amount of words written in a specific period of time. Then we check in with each other to keep each other honest. Along the same concept is NANO in which writers unite to try to write 50,000 words during the month of November. In 1999 I joined a local chapter of Romance Writers of America, Windy City Writers. Through Windy City, I connected up with a critique group that I'm still close with. Two of the four members gave up writing, but two of us still correspond via email at least once every day. The writing life is not easy and it helps to have support from others who understand your struggles. My husband and sons are supportive of my writing career. I'm kind of low key about being a writer, but my sisters are my biggest fans, spreading the word about my books. I teach social work classes part time at a local university. I've sewn since I was about 10 or 12, but that morphed into making quilts somewhere along the way. I've made numerous quilts for friends and family over the years. I even have an industrial sized quilting machines in my basement. I have three contemporary romances coming out from Entangled Publishing. A short story (as part of a collection) from Gemma Halliday Publishing this summer and I'm working on a mystery series. These two heroes are more than protectors! As a werewolf, marine captain Travis MacConnelly should be immune to the deadly attraction of female vampires. But Brianna Vittori ignites his most primal desires. When Mac realizes that his beautiful prisoner doesn't know what she is, it's up to him to provide her with answers…and protection. As the bond between them grows, so does the danger they're in. Dani is so tough even the grave couldn't keep her down. After mysterious beings brought her back from her murder, she's been restoring justice to humans. And she gets help from cop Sam Lopez. But Sam has demons of his own. They ignore the heat between them—until a great evil begins to rise. Now Dani and Sam must get closer than ever. What's your favorite type of paranormal story? Post a comment and be entered to win a copy of this book. My Seductive Innocent is book 2 in the Once Upon A Rogue Series. Though it is the second book, it can definitely stand alone. Here is the blurb! What makes your story special to you? 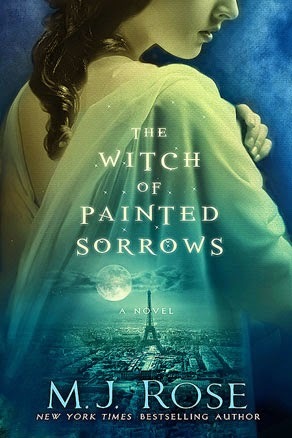 I love to write books that force the main characters to question everything they have ever believed in, and this story does that in a huge way. I also love a romance that has suspense woven in, and depending on the story I’m trying to tell, sometimes I get to explore suspense and sometimes I don’t. This story not only allowed me to weave suspense into the tale, but I got to explore a bit of a darker side, which I adore. I had a friend in fourth grade whose mother was a writer. She would sit us around the coffee table when I would spend the night, give us paper, and tell us to write stories. Sometimes, she would start the story and sometimes we would make them up. I’m certain the seed was planted then! I start every day by getting my kids off to school! Then I usually head to the gym and workout to clear my mind. If I’ve already done the research for a story, I will usually sit down at my computer and write for three to four hours, getting up at various times to do a few chores here and there. I work best by setting myself a word count goal. I know how many words I have to write a day to get the story done about when it needs to be. Of course, sometimes the story tricks me and ends up being a lot longer than I planned, like this book! I’m not sure how interesting it is, but I have to write in complete silence. I cannot stand distractions! What was one of the most surprising things you learned as a published author? The end is only the beginning. Once I have written those two words a whole other round of intensive work begins like editing and promoting. Well, I do believe my friend’s mother was my first influence. However, I would have never dared to take the chance without the encouragement of my parents who told me I could do anything I wanted to. I also would not be where I am today without the constant encouragement, help and advice of many published authors who are my friends as well as critique partners. As to authors I admire that made me want to try to write, I’d say as far as the romance genre goes that Julie Garwood was my first influence. My kids are so funny! They love it! My youngest child wanted to give all his classmates bookmarks and books of mine last year for Christmas. Of course, we didn’t! They’re only 8, after all! My oldest son was rather indifferent until a magazine featured me, and he had his picture in the magazine. And to top that off, a classmate’s mother told him she was a fan of mine, and he thought that was pretty cool! My husband is incredibly supportive as are my parents. Well I’m pretty fanatical about working out. It’s my stress relief. I love to spin, do yoga, do cardio classes and lift weights. I love to cook and have recently started making my household a non-processed household. I love to read, of course! And I love to travel! The rest of this year is busy, busy! I’m currently writing book 3 in the Once Upon A Rogue series, and I am also writing book 5 in the Whisper of Scandal Series. I’m also going to be in a huge box set with a bunch of other fabulous authors that will be coming out later this year, and I am hoping by the end of the year to have book 2 in the Lords of Deception series finished. At my website at: www.juliejohnstoneauthor.com where you can join up for my newsletter or street team.